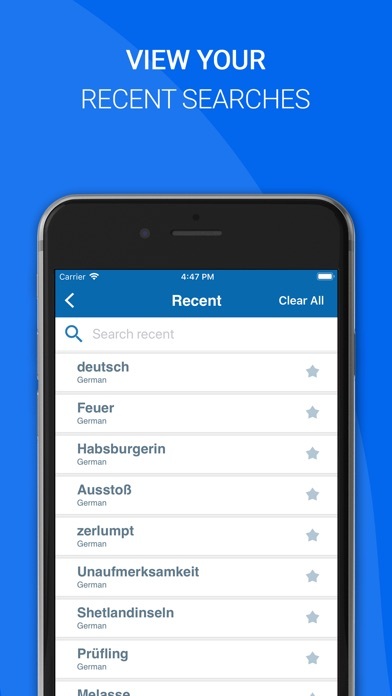 Content could be improved (why not include the past participle of irregular verbs? ), but the big problem is the user interface. It takes way too many taps to get to the point where I can begin typing a word. Update: I downgraded the app from three stars to one star because every time I open it, it nags me to give it a fiver star rating. This only further reduces its functionality. 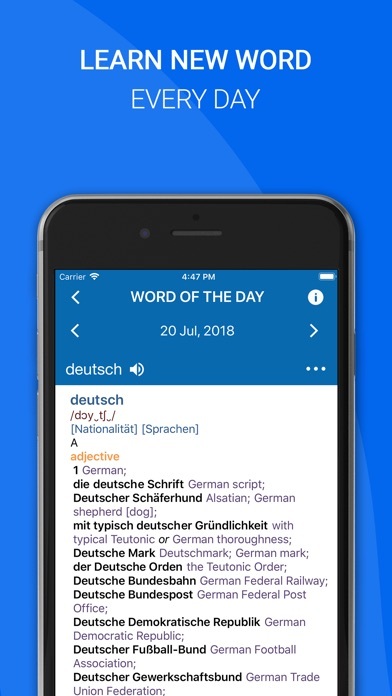 I really want to use this app as it has the best dictionary, but the constant crashes, freezes and resprings make it almost useless. Disappointed to pay $19.99 for the audio feature that will not work on my iPhone. So far so good! I like the word-a-day feature! I have got a new tablet and downloaded the premium Oxford dictionaries I had bought before. It’s been shocking to see that when I open these Oxford dictionaries on the new tablet now they show commercials and all the premium features are gone. They are asking for the premium version to be paid again. This is a real rip-off. I want my money back. I only wish I could get them negative stars. 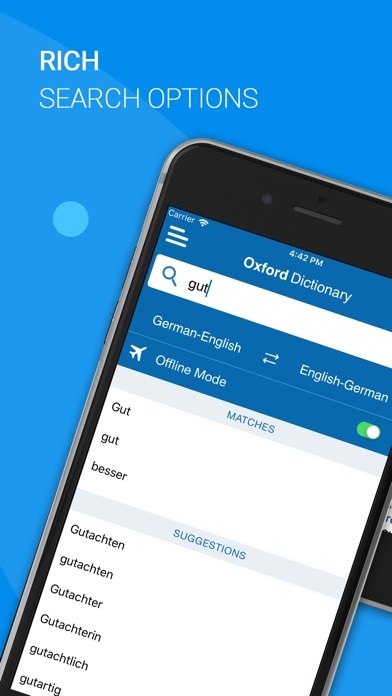 This app more than just supplements the german dictionary on the iPhone. It is like having a complete hardcover at your fingertips. 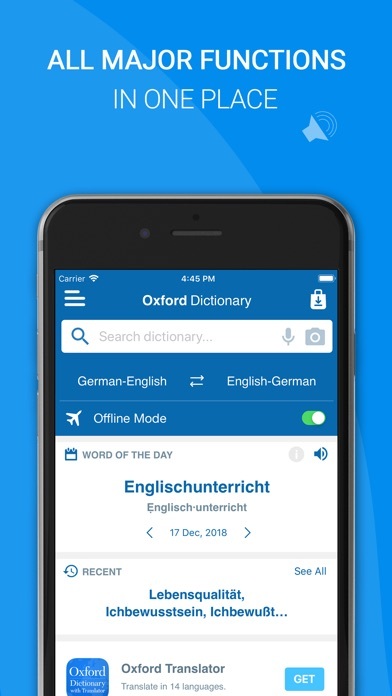 The premium OGD is the best German-English online dictionary but it has stopped working for my ipad although it still works for my iphone. 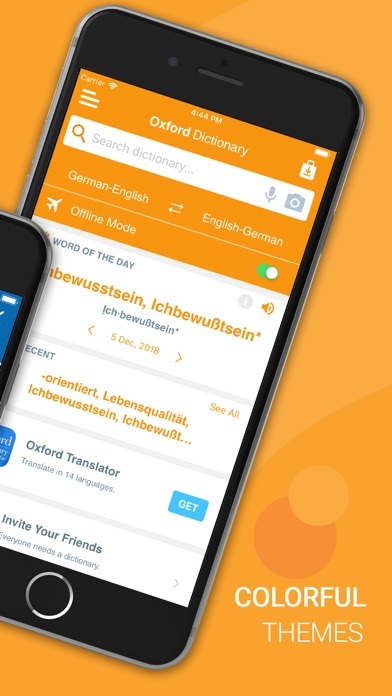 The “Talk and Translate” function will no longer open. No customer support response. It is complete and easy to use. An abundance of sentence usage examples included in many of the definitions. 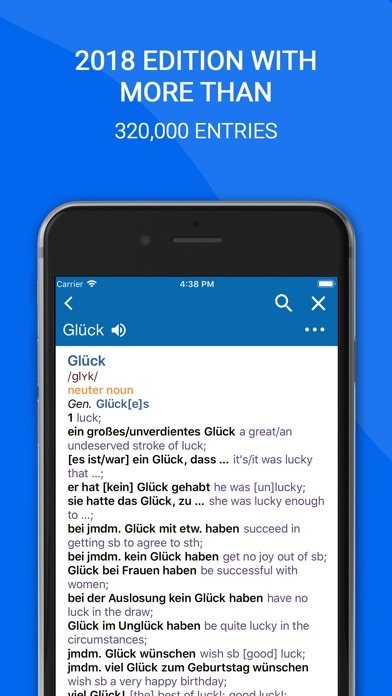 I'm getting back into my German after years of neglect and this dictionary has been an indispensable tool in that endeavor.